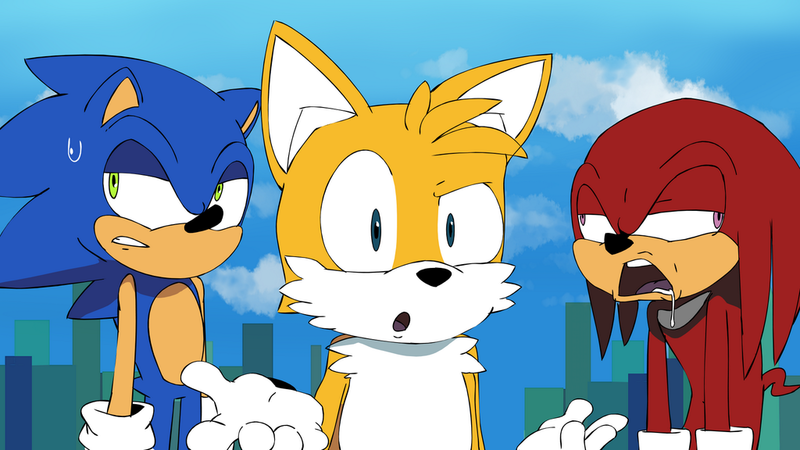 The annual Summer of Sonic convention isn’t just about meeting legends behind the games or jamming to Jun’s tunes; it is, at its heart, a community event–for, by, and featuring the best of Sonic fans and fandom. So it is no surprise that among the featured events of this year’s SOS, announced this weekend, is a fan animation showcase. The world premiere of Sonic Paradox’s new short Metropolis Mayhem will be at the event. Fans in attendance last year may remember that Seaside Denied was at SOS 2012. We’ve been furnished a still preview of Mayhem, seen below. Also debuting at SOS is Frobman’s Sonic Adventure in Brief short, and there are hints of more to come. We are now less than a week to this year’s Summer of Sonic; doors will open in London Saturday at 10AM local time.